Pick up any two titles of my short story titles for just $15 – choose between Tea & Dark Chocolate, Tales from P.A.W.S. and Will There Be Watermelons on Mars? Meet a cat called Cecilia, a disgruntled android named Doris, and a weasel called Popgoes and discover that with enough Tea and Dark Chocolate you can achieve anything. A Collection of Flash Fiction, Poetry, and general silliness. Or pick up a copy in Kindle or paperback from Amazon. Cats and Wolves and Tegs – Oh my! Meet Alistair, Ramora and Griddlebone in three stories from the world of P.A.W.S. Alistair is an aged, yet youthful-looking werewolf who has taken new werewolf, Josh, under his wing. One night, he tells Josh of his cruel, homicidal father who had killed Alistair’s mother and siblings (as he watched) for fun. During Alistair’s first full moon, so many years ago, he’d needed to seal his fate with a worthy kill, which he had eagerly done with pride. Ramora a child bride of twelve who is due to wed a man in his late thirties meets Morgana a devious green fairy or teg who offers riches and immortality to Ramora,. Awaiting the arrival of the fairy atop of the mountain of Manus Wu, Ramora fears a potential betrayal by Morgana. In the blink of an eye, Ramora seals her fate. Griddlebone is the result of experimentation by the Gestapo on Jewish prisoners in Vienna during wartime, combining their DNA with that of felines in order to create the perfect killing machine. As Griddlebone witnesses Jewish prisoners being forced onto the back of a truck by Nazi soldiers, other hidden werecats pounce and systematically tear apart some of the Nazis captors. Those who survive quickly flee on the truck with the prisoners. One prisoner, Esther, is saved. On her transformation, Esther and Griddlebone pay a visit to one of the concentration camps to see if the guards want to come out to play. Or pick up a Kindle copy today from Amazon. A collection of three speculative shorts all set around Israel. Available from Amazon in audiobook and kindle. When the paths of gods and men cross, then the skeins of fate twist. And none more twisted than the sixteen stories of mayhem, horror and the plain weird in these pages. Includes my story, Shades of Black. Sins of the Future – Horror stories for the world yet to be. Include my tale of a psychotic vacuu-droid called Doris. Signed copies available for $15 including shipping. Kindle and paperbacks also available on Amazon. Historical Stories of the Macabre including my tale, “Griddlebone”. Or purchase from Amazon in Kindle or paperback. Listen to Debbie reading her story Griddlebone from Sins of the Past on Outskirts Science Fiction Theatre. Pick up all three of the Sins of Time series – Future, Past and Gods – for just $35 including shipping. Check out by clicking the button below. All books include shipping to anywhere in the continental USA. If you wish to purchase a book from another country message me for details. A selection of other anthologies I have been part of. All available on Amazon. What if the whole everyone thought the world was going to end, and then it didn’t? Indie authors from all around the globe try to answer this question. My story in Fauxpocalypse is Vodka and Watermelons. It takes place in Jerusalem where I lived for many years. Purchase from Amazon in Kindle or paperback. Read interviews with all of the Fauxpocalypse authors here. 60 stories for busy people including mine “Cecilia’s Tale” – a little kitty tail (I mean tale). Everyone has their own unique fears. This charity anthology explores those fears. All proceeds go to pediatric cancer treatment and research. My story in this collection is The Big C. It is a memoir of the very real fear I experienced when I first discovered I had cancer. I hope it will help others to read my experience. Purchase on Amazon in Kindle and paperback. 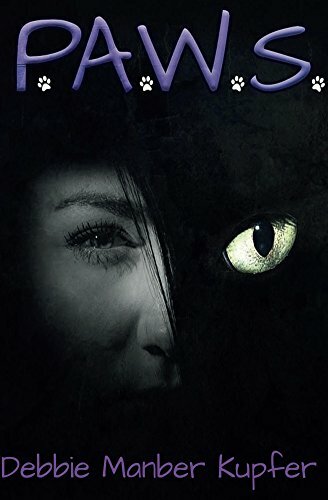 Twisted Fairy Tales for adults – my story in this anthology, Ramora, features a young girl who makes a deal with a very evil fairy! All proceeds go to St. Judes charity. Purchase on Amazon in Kindle or paperback. Available now Heroes and Villains. A new anthology from Facebook’s Fiction Writer’s group. The villain of my story in this collection will be very familiar to anyone who has read P.A.W.S. Charity anthology from The Dragon’s Rocketship in aid of the Make-A-Wish foundation. Fairy tale characters on the psychiatrist’s couch. Including two little tales from me, “Off the Wall” and “Hey Diddle Diddle”. All proceeds go to a children’s charity. David Bowie: Rockstar, Free Spirit, Goblin King. Cancer victim. Alan Rickman: Angel, Alien, Potions Master. Cancer victim. Lost to us early in 2016, the shock of learning of their private battles–as well as personal experiences with cancer–galvanized a group of authors, editors, publicists and artists to come together and do what we do best–donate our talents to the fight against cancer. All proceeds from this charity anthology are being donated to some of the most dedicated cancer researchers out there: St Jude Children’s Research Hospital, with the goal of helping them defeat cancer. This anthology contains short stories and poems inspired by the lives and art of Bowie and Rickman, as well as fiction and non-fiction works about facing cancer in the ones we love and ourselves. Includes my cancer story, The Big C.
Pick up a copy on Kindle or paperback. A year ago, a group of authors got together to pay tribute to Sir Terrence “Terry” Pratchett, a fantasy genre giant and a sufferer from Alzheimer’s. They formed “The Longest Night Watch,” and, not content with one anthology, went on to enter writing team competitions and plot a follow up volume. And they found other like minded authors, bringing them into the Watch. The book that you hold in your hands is the culmination of fun and of reflection, a celebration of speculative fiction and an introspective into the lives and minds of Alzheimer’s patients and their families. Includes my flash fiction story, The Doctor. Pick up your copy on paperback or Kindle. Zombies and hauntings and witches, oh my! Here are 13 never-before-published Halloween-themed short stories to get you in that October mood. BONUS: 50% of all proceeds from the sales of this novel with be donated to Global Giving, an international organization that provides funds directly to local charities in communities that need it most. Contributing authors include: Kathryn J. Benson, S. Carys, Jennifer Diemer, Bridget Essex, James C. Femmer, Madeline Claire Franklin, Julia Heller, Debbie Manber Kupfer, Michael Leali, Jesse William Olson, Leslie Teel, Diane Telgen, and Amanda R. Woomer. Get ready to get spooky! Includes my story, The Costume, which is set in my P.A.W.S. universe. Pick up a copy in paperback or kindle. Keep up with all of Debbie’s novels and anthologies by following her on Amazon, Goodreads, Facebook, or Twitter. Looking forward to reading. Shared it on my timeline. Lora Mallett.